Saving lives is a serious job, so it’s only natural the gear is serious too. 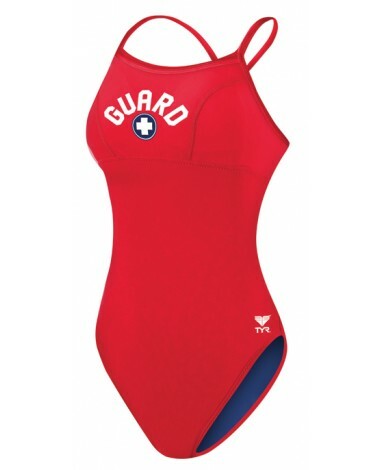 That’s why we engineered the Women’s Guard Durafast Lite Diamondfit Reversible Swimsuit. 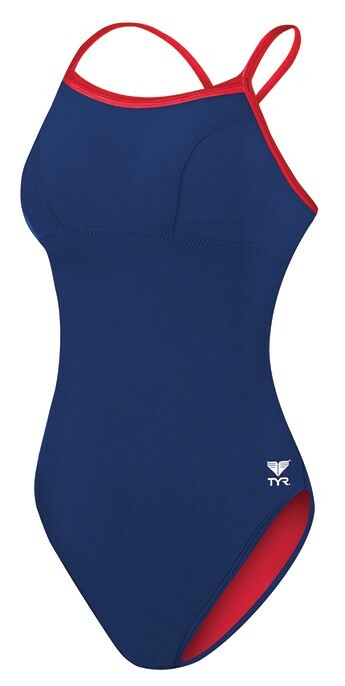 Constructed with Durafast Lite, the DCGUL7A suit is 30% lighter weight than Durafast Elite swimsuits, allows for a 360 degree range of motion and can sustain 200+ hours of performance while maintaining a comfortable hold on your body. Featuring a medium neckline, sleek/flexible straps, keyhole back and moderate cut leg, this two-in-one swimsuit provides reliable coverage that won’t weigh you down. Meanwhile, thin contour cups give you the look without the lines and built-in UPF 50+ capabilities ensure ultimate sun protection. 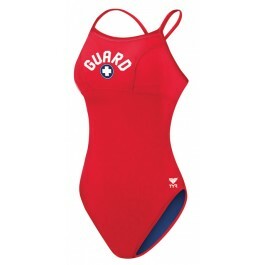 Reversible swimsuits are perfect for the lifeguard who loves to change up her look. Rock a cool blue suit one day and a vibrant red the next! The Diamondfit offers full coverage with thin strap binding and a moderate leg line. 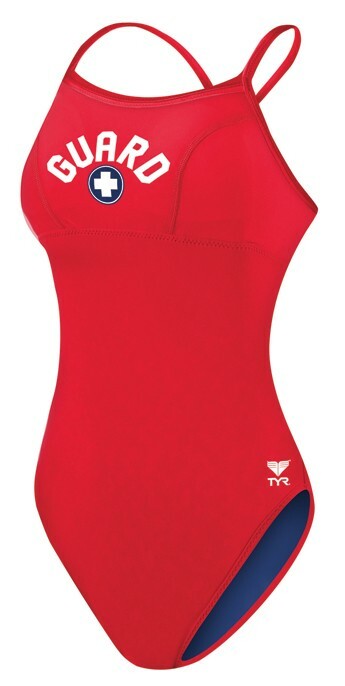 Q: I purchased a tyr reversible swimsuit a few years ago that I think is the same style as this one. In particular, I'm looking for the detailed seeming on the chest. 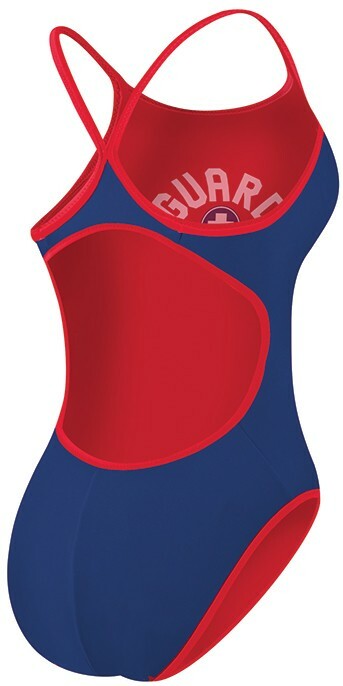 Do you offer this in a suit that does not say guard?